What is Level 3 Payment Processing? Credit card issuing banks assign certain interchange fees for different types of cards, and these rates make up 80-90% of credit card fees. 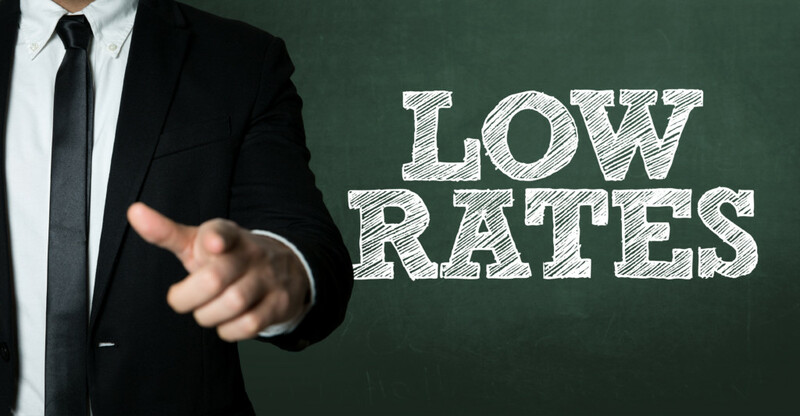 To qualify for Level 3 interchange rates, you must pass very specific details about the transaction, invoice, and line-item details along with standard transaction information. Level 3 was originally invented to prevent excess government spending. It allows invoice information, including line-item details, to be passed to the cardholder’s bank statement. Levels 1 and 2 are fairly easy to achieve. Level 1 only requires standard transaction details such as date and amount, and can be achieved through any processing method. Level 2 includes the same details plus the addition of sales tax. 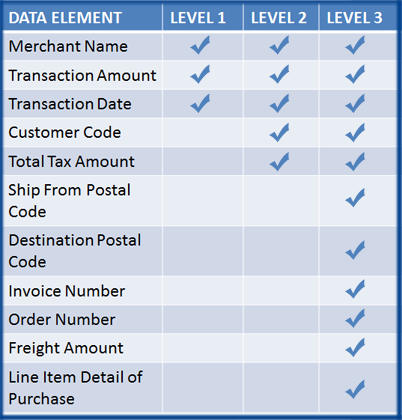 In order to achieve Level 3, there are nearly twenty fields of line-item data that must be sent along with the transaction, including: invoice number, PO number, freight amount, item commodity code, unit of measure, tax detail, and many more. Level 3 pricing is available for purchasing, corporate and government spending accounts (GSA). Businesses who wish to receive Level 3 must send all line-item data and transaction information to the card-issuing bank. Level 3 cannot be used with a physical terminal. Instead, line-item credit card data needs to be passed securely to a PCI compliant payment gateway. If the data gets passed correctly using the right type of card, then the bank will approve Level 3 pricing. If a business misses even one of these details, they will not qualify for Level 3. Century Business Solutions offers EBizCharge, an integrated payment gateway designed to reduce processing costs and increase operational efficiency. While most software interfaces require businesses to enter line-item data by hand, EBizCharge by Century Business Solutions takes information already stored in your MAS 90 Version 4.4 ERP and sends it directly to our proprietary payment gateway. EBizCharge uses Encryption and Tokenization technologies to adhere to all PCI compliance guidelines, and provides businesses with enhanced data security and convenient payment acceptance. EBizCharge uses Level 3 Payment Processing to reduce processing costs and increase efficiency for your business. In addition to submitting line-item details, businesses must adhere to strict rules and guidelines. If these rules are broken, your business can be downgraded to “standard” processing and be hit with much higher interchange rates. First, you must capture funds for the same amount or less than the pre-authorization. If funds are captured for any amount that exceeds the preauthorization, you will violate guidelines and be unable to qualify for Level 3. Second, after a card is preauthorized, you must capture funds within a few days. If funds are captured beyond this time frame, you will not qualify for Level 3. EBizCharge by Century Business Solutions is a feature rich payment gateway designed to reduce processing costs for your business. EBizCharge integrates with MAS 90 Version 4.4 and allows you to process payments directly within your accounting software. Our integration comes with EBizCharge Connect, a complimentary web-based payment portal that allows your customers to view outstanding invoice amounts and process payments online. These payments are automatically synchronized back into MAS 90 Version 4.4 and appropriate invoices are marked as paid. EBizCharge has no contracts and no setup fees. We also provide FREE 24/7 in-house support, training and maintenance, along with an in-house development team for efficient and up-to-date software integrations. Contact today to learn how you can achieve the lowest merchant processing fees with Level 3 Payment Processing for MAS 90 Version 4.4.